If you happen to have problem with Smart DNS working, if you can not use any manually set DNS services perhaps it is because of your ISP DNS policy. Here is what you can do. Some ISPs use Transparent DNS Proxy technology to intercept DNS lookup requests (TCP/UDP port 53) and transparently proxy to their DNS servers. This forces your computer or router to use their DNS service for all DNS lookups instead of the ones you’ve set up. 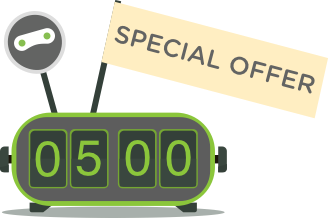 In this case Smart DNS technology wouldn’t normally work but we have a solution for this. If you have a DD-WRT or Linux based router we can help you bypass your ISP’s Transparent DNS proxy using custom firewall rules and our DNS servers which runs on different TCP/UDP port. 1. Log in to Client Area. In main menu click on “Packages” (1), then select your active VPN or Smart DNS Package (2) as it is shown in the image bellow. In Smart DNS tab scroll down to “Useful Links” and press “Bypass transparent DNS proxy script”. 2. 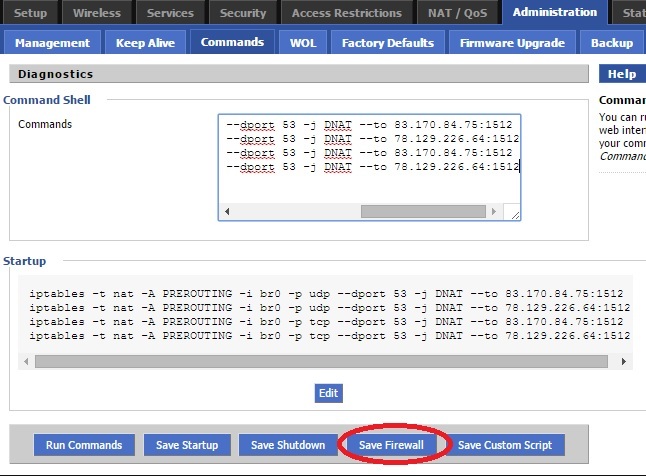 Log in to your router and go to “Setup” and select “Basic Setup” tab. 3. 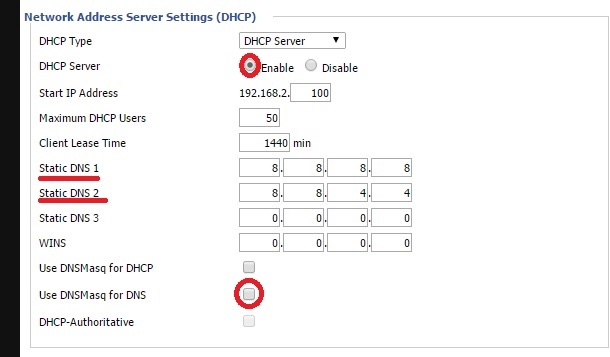 Go to “Network Address Server Settings (DHCP)” and Enable DHCP . Change Static DNS 1 to: 8.8.8.8. Change Static DNS 2 to: 8.8.4.4. Disable “Use DNSMasq for DNS”. Click on “Apply Settings” button. 5. Paste the code that you copied previously from “Bypass transparent DNS proxy script” page. ( see step 1 ). 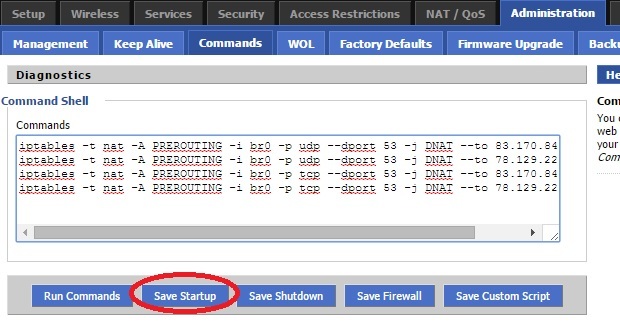 Then click the “Save Startup” button.